Have an adventure trip by visiting the tiger spotting hotspots of India such as Kanha, Pench, Nagpur and then the cities of the Golden triangle like the Delhi Agra Jaipur and witness the culture, heritage and history of India. This is one truly exhilarating trip as it will take you to a roller coaster ride and would make memories greatly precious to you. Enjoy!! Safari to the Bandhavgarh National park. 2 wildlife safari at Pench National Park. 3 wildlife safari at Ranthambhore National Park. 4 safaris in Kanha National Park. As you arrive to Delhi, check in to the hotel and relax. Later, go on a visit to the famous monuments of Delhi like The Jama Masjid, the Red Fort and the Humayun’s tomb. Also visit the Raisena Hill and then visit the Parliament House and the Rajghat. Stay at the hotel for the night. Board a train to Ranthambhore. Transfer to nearby lodge, with the help of our representative. Explore the whole of Ranthambhore tiger Reserve and enjoy the surrounding area of the resort. Stay at the hotel for the night. For these two days, go for jungle safari of the Ranthambhore Park. Also Visit the famous and grand Ranthambhore Fort and also the religious centre – the Ganesh temple. Stay at the lodge for the night. After breakfast leave for Jaipur by road. As you reach to Jaipur Check into the Hotel and stay for the night. 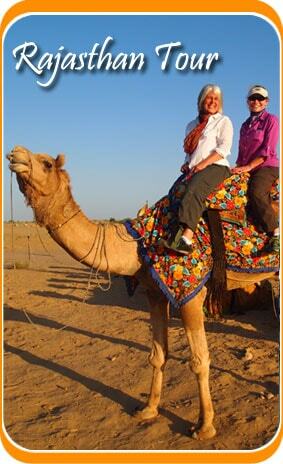 The first thing that we’ll do here is visiting Amer Fort, enjoying a ride on the elephant back. Afterwards go on a sightseeing tour of Jaipur and visit place like Hawa Mahal and the City Palace. Also visit the Jantar Mantar. Stay at the hotel for the night. As we proceed to Agra, we visit the city Of Fatehpur Sikri and visit place like Panch Mahal, Buland Darwaza and the Jal Mahal. As you reach Agra, check in to the hotel, escorted by our representative. Stay at the hotel for the night. Dedicate this day to the tour of Agra by visiting places like the Taj Mahal, the Agra Fort and other attractions of Agra. Later, in the evening board a train to Bandhavgarh. Overnight journey in the Train. Drive into the Jungle camp as you reach Bandhavgarh. Go for a drive at the National Park which would be guided by specialists. This safari would be done by jeep keeping in mind your safety. Stay at the camp for the night. Enjoy your second day of safari by an elephant, you can also choose the jeep safari. Retire at the camp for the night. Drive to Kanha from Bandhavgarh. You'll reach Kanha National Park by the afternoon. Check in to the resort, along with our representative. Look around the vicinity of the resort. Take rest at night. Explore the length and breadth of Kanha National Park in this 2 day Jungle safari. Spot wild animals residing in the park. Stay overnight at Kanha. Leave by road from Kanha national Park to Pench National Park. Check in to the Bagh Van Lodge for overnight stay. Explore the whole of Pench National Park with wildlife safari for full day. Stay at the lodge for the night. Go for Nagpur by road to board a flight to Delhi. Upon arrival, check into the hotel. Stay at the hotel for the night. This is the last day of you ‘Adventure with Tigers and the Golden Triangle’ Tour. 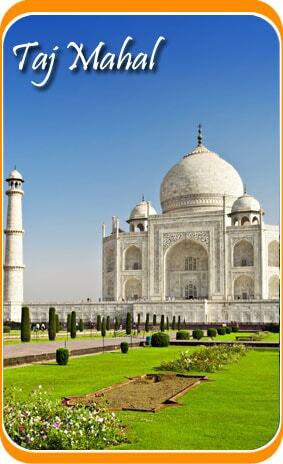 Catch a flight to your home country from Delhi Airport.